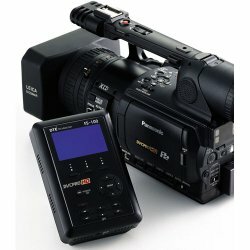 Featuring a comprehensive backlit display, an easy-to-use menu system, a 160GB hard drive, and a removable, rechargeable battery, the Focus FS-100 is the perfect DTE companion for the Panasonic AG-HVX200 camcorder. Audio, video, timecode, and control information is passed through a single FireWire cable, allowing you to record to disk and P2 card simultaneously. Designed for use in even the roughest conditions, the FS-100 includes a ten-second electronic shock cache to ensure that you never lose footage. 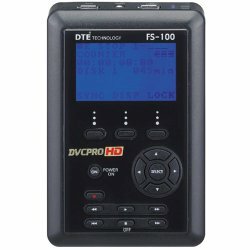 Advanced features such as time lapse (DV mode only), retro disk recording, scene marking, and clip categorization make the FS-100 Portable DTE Recorder the perfect companion for handheld shoots. When recording is complete, your footage is ready to edit instantly—no capturing, file transfer, or file conversion is required. Native Frame Rate Recording: The FS-100 enables you to record DVCPRO HD at 720p 24/25/30 (model dependant, PAL / NTSC) in P2 or Quick-Time file formats at native frame rates. Only the required frames are recorded. This feature not only eliminates the need to remove pulldown or duplicate frames during ingest, but also enables you to record twice as much DVCPRO HD video to disk. The FS-100 also supports variable frame rate (VFR)recording for spectacular slow-motion and fast-motion effects. VFR files are imported directly into your NLE system’s timeline—no conversion is required. QuickTime Reference Movies: FS-100 supports QuickTime reference movies, which allow multiple clips—whether they’re five minutes long or one hour long—to appear as a single Quick-Time movie. When you import a Quick-Time reference movie into Final Cut Pro, the clips it references appear as a single QuickTime file, eliminating multiple clips and enhancing your workflow. 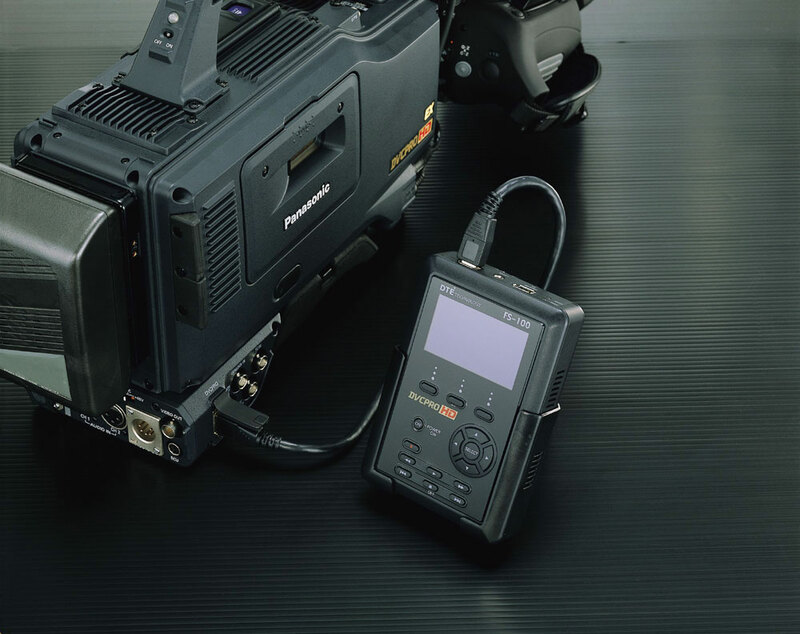 Nonlinear Editing System Compatibility: Because the FS-100 is capable of recording video in a wide range of formats, it’s compatible with a large number of nonlinear editing systems. For example, you can record DVCPRO 50 or DVCPRO HD in native QuickTime mode and import clips directly into Final Cut Pro. Hard disk valid for the following Panasonic cameras: AG-DVC7, AG-DVC30, AG-DVC60, AG-DVX100, AG-HVX200, AJ-SDC905.